akafol ph2 is krempel product & combimat is same type product from isovolta, use in dry type transformer for highvoltage interlayer film & motor insulation , withstand 155 c temp. the import coast of film is around 1000/- per kg v sale at around 25% of coast of that material. this lot v can negotiate for big Qty. We offer our clients with Resi Glass Tapes that are manufactured using an unidirectional layer of cabled glass yarn, impregnated under tension with a modified thermo setting resin for glass-h insulation. The air space in band can be avoided with the free flow characteristics of the resin. This helps in improving the heat dissipating aspect. This is also an additional feature to the stability of the operating conditions. These tapes can be used as a banding restrain on rotating electrical machines, traction armatures and large generators as well as for banding of transformer tie-loops and transformer cores. 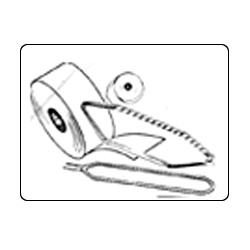 Our range of fireproof mica paper tape possesses anti-flame properties that comes with high flexibility under normal conditions and are a little sticky to touch. These can be conveniently used to wind the conductor of cables tightly as these possess high mechanical strength. These have high amounts of mica and display superb electrical functioning. We offer security cables that are wrapped with fire proof mica paper display high flame resistance and can be relied on for safety. These taped are manufactured in strict conformance to industry standards and IEC publication 331. These are also waterproof ad are widely used in cables across the country. 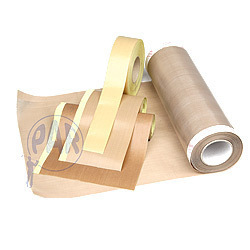 Our clients are offered with a wide range of heat shrinkable polyester tapes that is easily adaptable to VPI systems and in mica wrappers. These tapes find its applications in hot knife slit edges that are woven for conformability and ample yarn stability. 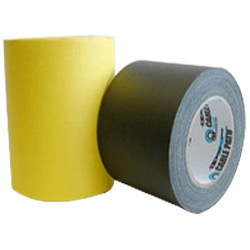 These tapes are also used for service or armor taping from coils. 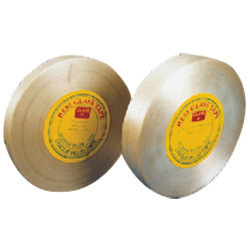 These tapes are also utilized in electrical coils and are conformable in nature. 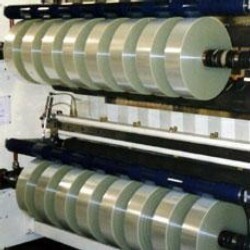 Shrinking of our non-fraying tapes followed by varnish treatment helps in producing coils with minimum void content and maximum resin retention. Used For Epoxy Release Purpose. in Motor & Generator Coil making. 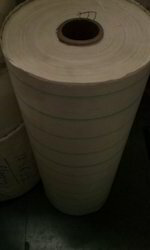 Generally Slitted in 100 mts Roll in 25, 40, 50 mm Width . 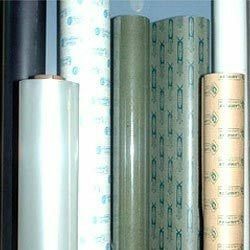 We offer our clients with an extensive range of Insulating films that are available at affordable prices. These are also offered in customized versions according to the demands and specifications of our clients. These Films are appreciated for their attributes like adhesive and printing compatibility and moisture absorption and dimensional stability. Its other features include dielectric properties and ease of fabrication and maintain tolerances. 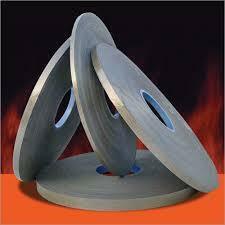 Our clients are offered with cable tapes that is a zone coated gaffers tape. This unique product is designed to make the advancement of cable a breeze. Its center portion has a smooth surface for pulling cable and wire through easily without binding. Its high performance adhesive will hold firmly for extended periods of time on most surfaces and removes without residue. These are further offered at most competitive prices. Good chemical, moisture and corrosion resistance. Good electrical insulation and di-electric properties. 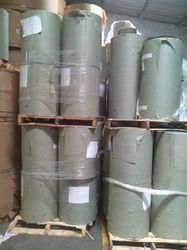 We offer ready stock high quality Insulating Crepe Paper made from high voltage cable Kraft Paper. 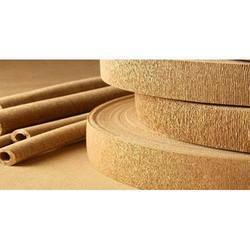 They consist of 100% pure sulfate cellulose. 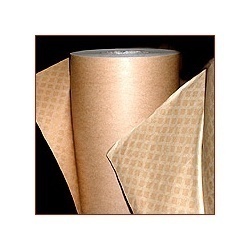 Insulating Crepe Papers are mainly used as:wide tapescut narrow rolls for insulation of the parts of high voltage electrical apparatus.The degree of creeping matches to individual requirements enables manual or machine application & a close connection between layers. The fineness, elasticity & high strength of the used base paper results in high dielectric strength of the creped end products.It also guarantees 100% oil impregnation within short time period.The control of initial materials together with inspection of finished products enables insulating Crepe Paper to be used in high voltage transformers at areas with field stress as well as in converters, cables and other equipments where stresses are high. 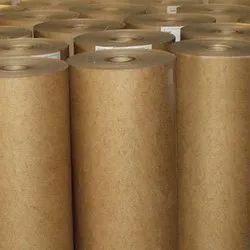 We offer ready stock high quality Insulating Kraft Paper, manufactured from 100% pure, long fiber sulfate cellulose, which is free of size & fillers. 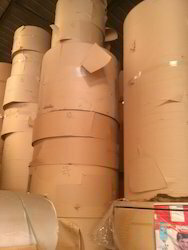 The mechanical strength of Kraft insulating Papers enables:Maximum winding speeds High tension to be achieved.This results in high degree of homogeneity of the insulation with excellent electrical breakdown values. 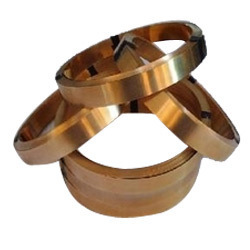 Our clients are offered with Beryllium Copper that is most commonly utilized Copper Beryllium alloy and is notable for its highest strength and hardness when compared to commercial copper alloys. 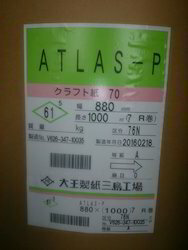 C17200 alloy contains appr. 2% of beryllium and achieves its ultimate tensile strength that can exceed 200 ksi, while the hardness approaches Rockwell C45. The electrical conductivity is a minimum of 22 % IACS in the fully aged condition. C17200 also exhibits exceptional resistance to stress relaxation at elevated temperatures. 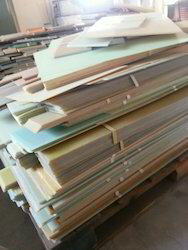 Looking for Insulating Material ?